I wrote this article for the upcoming September 2008 issue of the French art magazine Particules, well before Chandler Burr unleashed his tempest in an atomizer by panning Un Jardin après la mousson (Hermès), Jean-Claude Ellena’s latest fragrance. When Que Sais-je? 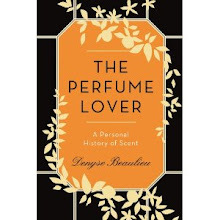 (a French collection of booklets written by specialists to initiate the public to their field) publishes a book on perfumes, he’s the one who writes it. When the French art magazine Beaux-Arts interviews a « nose », he’s the one they interview. His discourse is as limpid as his compositions: both have made him the first media star of his field. Profile of an intellectual who dreams of capturing the smell of water. If Jean-Claude Ellena likes to demystify his profession – a valuable quality in an industry that functions under the law of omerta – it is probably to demonstrate what a virtuoso he is in the art of assembling molecules. This self-styled “creator of illusion” is so sure of his effects that he can afford to unveil their cogs and wheels. Thus, when Chandler Burr asks his to follow, over a year, the creative process of Un Jardin sur le Nil, he consents. Similarly, he makes no fuss about unveiling his method and the ingredients of his palette in his Que Sais-je on perfumes (or, some say, on Jean-Claude Ellena). On the thorny subject of synthetics, usually classified top-secret by the PR department so as not to “kill the dream”, he is also uncharacteristically forthcoming. In the presence of journalists, he likes to put together two scents strips impregnated with synthetic substances to produce a third smell. Fructone + ethyl maltol = strawberry. Patchouli + octene 1-OL-3 = humus. Linalool + methyl anthranilate = orange blossom. A conjuring trick that epitomizes the Ellena style, which can be summed up in three words: transparency, minimalism, traceability. 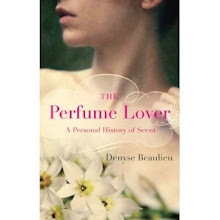 If no perfumer before him has been so transparent, it isn’t only to put himself forward, as some of his colleagues hint. Transparency is the very essence of his style. Jean-Claude Ellena has stated more than once that his dream is to capture the smell of water – the very opposite of classic perfumery, or even of perfume. Smart move. Many consumers want a perfume that doesn’t actually smell of perfume. Hence the massive use of the synthetic musks used in washing powders, which our olfactory memory associates with cleanliness. Ellena isn’t the first to want to reproduce the smell of water: that was the brief given by Issey Miyaké for L’Eau d’Issey (1992). Now, water doesn’t have a smell. Ozone and sea spray are conjured by Calone, a molecule that smells mostly of melon, which has by now been overdone to death. Even when he wants to create a leather note for Kelly Calèche, he veers off from the compounds normally used to produce it. The illusion (so subtle that not every nose detects it) is achieved with flowers: iris, cassie and rock rose. The animalic, carnal, indecent effluvia of the French grand style have been struck off the menu: Ellena puts us on a vegetalian diet. He plunges us in squeezed fruit and rain-gorged petals. In a word, he repulps us. I love Edmond Roudnitska 's minimalist compositions (Diorella, Diorissimo) but I don 't care for Ellena 's style that I find insipid and strident (too citrucy/acid). I deeply admire Roudnitska as well (I own most of his fragrances), but though I wore First as a young girl, I find that I've never bought any other JCE fragrance. I am considering Osmanthe Yunnan or Vetiver Tonka, both of which are lovely, but they have tenacity issues on my skin. Billy, I love Vetiver Tonka, beautiful idea, and it does what it says on the box, ie vetiver + tonka bean. I keep hoping it'll last longer on me ! I liked a few of JCE's creations, but for me he is going off in the weeds with this "smell of water" thing. I want my perfume to smell like perfume, not water. My current favorite perfumers are Maurice Roucel and Bertrand Dechaufour. Tara, I'm not too sure about the "smell of water" thing either. But if anything, JCE is consistent, you've got to give him that. Vetiver Tonka is a great IDEA, but once you've read the title, and sniffed it, which is compelling at first, it gets boring. A + B = C. There are lots of artists whose work I find completely boring but are quite interesting themselves, don't you think? And the reverse of course, which can be crushing! I don't think Roudnitska is a minimalist, although he sometimes achieves what might seem minimal through maximal means it seems. Hi W.! I really enjoy Vetiver Tonka, but what you say is what is keeping me from going the whole bottle route: once it's stated its intent, it rests its case. I also think that's what can attract people to it (outside its lovely smell): it's perfectly legible. That said, I prefer compelling works and boring artists than the reverse (but all the artists I know are fun on both counts!). About Roudnitska, I don't know if the term minimalist applies, but he definitely spent a lot of time perfecting short formulas where nothing was superfluous. I have found VT to be compelling enough to have had a large decant, which doesn't appeal to me at all this summer. I love your characterization of vintage scents as "demanding," and I crave them even when I am not up to the task. Give me something between the two extremes any day! Ah, now I understand about Roudnitska, that "elegance" that scientists always talk about. I'd like to know more about this in relation to perfume. Back to Ellena's little perfume book at my bedside, grace a Camille! Elegance, in the scientific acception of the term (ie the least possible steps to solve a problem) is an excellent way of qualifying Roudnitska's and Ellena's work. I wish I'd thought of it! Since you are my nose, luckily I can occasionally supply a bon mot, that's what friends are for! Linking nose to language centers in the brain... Not always an easy task! Especially across 6000 miles ; ) That's what blogs are for, thanks for yours! You've got me inspired to work on mine now! All of my experience is in linking visual experience with words and ideas, not olefactory (sp?) ones, you are really my talking nose! Just remember what I said about the Guerlain picture... eek!